Coaching is a synergistic partnership that is forward focused, action oriented, and designed to help you get the results you want. What are reasons to hire a coach? By fully engaging in the coaching process you will gain the clarity, focus, motivation, support, and structures that will help you get the results you want in your business, in your career, and in your life. The process will also help you discover increased awareness, greater confidence, and more courage that can transform all the areas of your life. Initial assessments are completed to better understand you, your goals, and the obstacles you’ve encountered. This lays the foundation that allows your coach to know how best to work with you and to develop a strategy to achieve the results you want. It’s all about you! In this powerful alliance your coach will focus her full energy and attention on you. 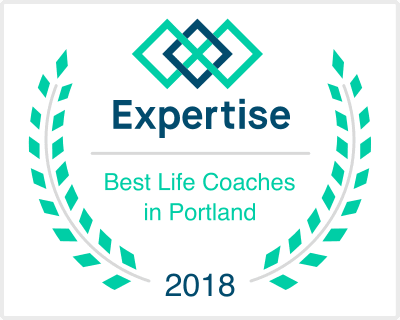 Your coach is a supportive, non-judgmental partner who will listen, ask questions, guide, brainstorm, draw from your inner wisdom, offer perspective, and provide structures to support you in achieving your goals. Coaching is normally accomplished in 50 minute sessions two or three times a month via phone. This makes it efficient and available from almost anywhere in the world. Call 503-241-0313 or email us to schedule a complimentary consultation.